2000-2001: Relegated to the third tier of English football. 2001-2002: Ian Holloway replaces Gerry Francis as Manager. 2002-2003: Losing Division Two Play-Off finalists to Cardiff City at the Millennium Stadium. 2003-2004: Runners-up in Division Two - promoted to Championship. Gianni Paladini joins the Club as Chairman. 2007-2008: Bernie Ecclestone and Flavio Briatore buy the Club, later joined by Lakshmi Mittal. 2009-2010: Neil Warnock appointed Manager. 2010-2011: Championship Champions - promoted back to the Premier League. 2011-2012: Malaysian entrepreneur Tony Fernandes buys a majority stake in the Club, along with Kamarudin Bin Meranun and Ruben Emir Gnanalingam. Mark Hughes replaces Neil Warnock as manager. 2012-2013: Harry Redknapp appointed as manager - QPR relegated to the Championship. 2013-2014: QPR win the Championship Play-Off Final. QPR promoted back to the Premier League. 2014-2015: Harry Redknapp resigns as Manager. Chris Ramsey appointed Caretaker Manager. QPR relegated to the Championship. 2015-2016: Chris Ramsey appointed Head Coach. Chris Ramsey sacked. Neil Warnock appointed Interim Head Coach. Jimmy Floyd Hasselbaink appointed Manager. 2016-2017: Jimmy Floyd Hasselbaink sacked. Ian Holloway returns for his second spell as Manager. 2017-2018: Ian Holloway guides QPR to a 16th placed finish in the Championship before being replaced by Steve McClaren following the conclusion of the season. 1975-1976: Runners-up in Division One - Rangers qualify for UEFA Cup. Five players in the England squad, including Gerry Francis as Captain. 1978-1979: Relegated to Division Two. 1980-1981: Terry Venables appointed Manager. 1981-1982: Artificial pitch installed at Loftus Road (first in UK). QPR reach the FA Cup Final losing to Tottenham Hotspur in a replay. 1982-1983: Division Two Champions - promoted to Division One. 1983-1984: Guinness first shirt sponsors. Fifth in Division One - Club qualify for the UEFA Cup. 1985-1986: Jim Smith appointed manager. Runners-up to Oxford United in Milk (League) Cup Final at Wembley. 1986-1987: Jim Gregory sells Club to David Bulstrode. Merger with Fulham to form Fulham Park Rangers proposed and rejected. 1988-1989: Death of Bulstrode - Richard Thompson becomes Chairman. 1991-1992: Gerry Francis appointed Manager. 1992-1993: Members of the Premier League in its inaugural season. 1994-1995: Ray Wilkins appointed Player/Manager. 1995-1996: Les Ferdinand joins Newcastle United for a record fee of £6million. Club relegated to second tier. 1996-1997: Chris Wright buys club from Richard Thompson - Loftus Road PLC formed. 1998-1999: Gerry Francis reappointed Manager. 1950-1951: Reg Allen transfers to Manchester United for £10,000 (then a record fee for a goalkeeper). Rangers' all-time record appearance holder Tony Ingham signs from Leeds United. 1951-1952: Relegated to Division Three (South). 1952-1953: Jack Taylor replaces Mangnall as Manager. 1953-1954: Kit colours change to all white. 1958-1959: Members of Division Three after regionalised divisions are scrapped. 1959-1960: Alec Stock replaces Taylor as Manager. 1960-1961: QPR revert back to blue and white hoops. Record 9-2 victory v Tranmere Rovers. 1961-1962: Most league goals scored in a season (111). 1962-1963: The R's move back to the White City Stadium. 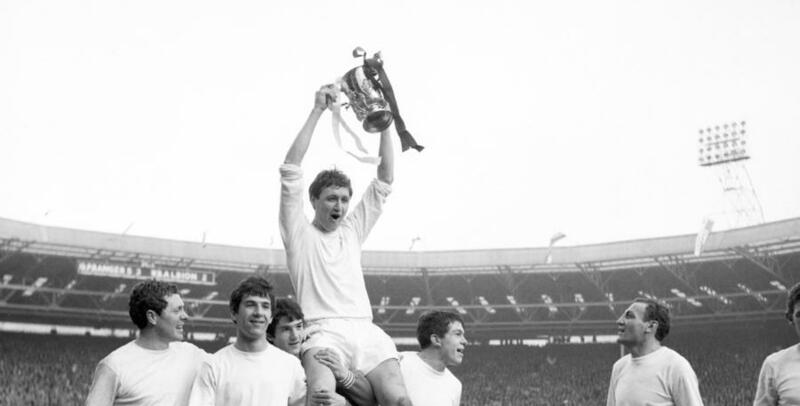 1963-1964: And then back to Loftus Road just a year later! 1964-1965: Jim Gregory elected as Chairman of the Club. 1967-1968: Division Two Runners-up - promoted to Division One. 1968-1969: Tommy Docherty arrives as Manager and leaves after a month. Relegated to Division Two with only 18 points (a record low at the time). 1970-1971: Gordon Jago appointed Manager. 1971-1972: Rodney Marsh capped by England. 1972-1973: Division Two Runners-up - promoted to Division One. 1973-1974: Record home league attendance of 35,353 v Leeds United. 1974-1975: Dave Sexton appointed Manager. 1931-1932: Rangers move to the White City Stadium. Record home gate of 41,097 v Leeds United (FA Cup). 1932-1933: First experimental floodlight match held. 1933-1934: The Club move back to Loftus Road. 1938-1939: New 'Loft' terrace opened by Herbert Morrison. Ted Vizzard appointed Manager. 1943-1944: Dave Mangnall replaces Vizzard as Manager. 1946-1947: Division Three (South) Runners-up. 1947-1948: Division Three (South) Champions - Promoted to Division Two. 1904-1905: QPR move to Park Royal and Neil Murphy is the Club's first international player (Republic of Ireland). 1907-1908: The R's are crowned Southern League Champions and Evelyn Lintott is QPR's first England international. QPR are also runners up in the first ever Charity Shield. 1911-1912: Rangers crowned Southern League Champions and also come runners-up in the Charity Shield. 1917-1918: The R's move to Loftus Road. 1920-1921: QPR join the Football League. 1926-1927: Club colours are changed to blue and white hoops. QPR's all-time record goalscorer George Goddard signs. 1882-1886: Queens Park Rangers founded after a merger of Christchurch Rangers (1882) and St. Jude's Institute (1884). 1892-1893: Green and White Hoops introduced and first trophy is won, the West London Observer Cup. 1895-1896: Rangers enter the English FA Cup for the first time. 1899-1900: Club turn professional and join the Southern League.